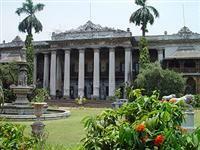 Kolkata is associated powerfully in the global imagination with the inspiring figure of Mother Teresa. 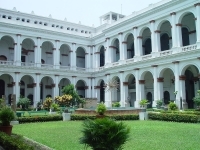 Mother House, which her order still uses as a headquarters and where visitors can see her tomb and a small museum, is one of the top attractions in Kolkata. It is also a city of scholars, with many cultural attractions and some impressive colonial architecture. The India Museum, India's oldest, largest and arguably best museum, is a must for those interested in the history of the country. The lovely Victoria Memorial is celebrated as one of the architectural gems of the colonial period. The Marble Palace, an eccentric, privately-owned mansion with some intriguing features is also very popular. A deeply religious city representing several faiths, some striking temples often top the list of things to see in Kolkata. The Kalighat Temple is the city's holiest site, and those willing to brave the hordes of worshippers and pilgrims will find this attraction to be a profound experience. The Sri Mayapur Chandrodaya Temple, frequented by devotees of Lord Krishna, is popular with tourists; and the Dakshineshwar Kali Temple, stunning architecturally, is another favourite. 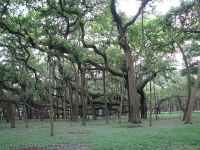 For a break from traditional cultural sightseeing, wander through the spooky 18th-century South Park Street Cemetery, or visit the Great Banyan Tree in the Indian Botanical Garden.